Bloomberg has become the latest company to commit to The Valuable 500, a global campaign which strives to ensure businesses recognise the importance of the world’s one billion people living with disabilities. The campaign, launched at the World Economic Forum’s Annual Summit in Davos earlier this year, aims to get global business leaders to commit to real accountability and action on disability inclusion, by taking a simple first step and adding the topic of disability to their board agendas in 2019. Bloomberg is dedicated to diversity and inclusion and focused on fostering a culture that values difference, promotes inclusion and encourages collaboration to drive business results. The company demonstrates its commitment to creating a supportive and comfortable environment for people with disabilities and their allies through a wide range of initiatives. Enhancing the physical accessibility of our facilities worldwide for both employees and visitors with disabilities – changes that resulted from a collaboration between Bloomberg’s Workplace Operations team and its Abilities Community (B-ABLE). 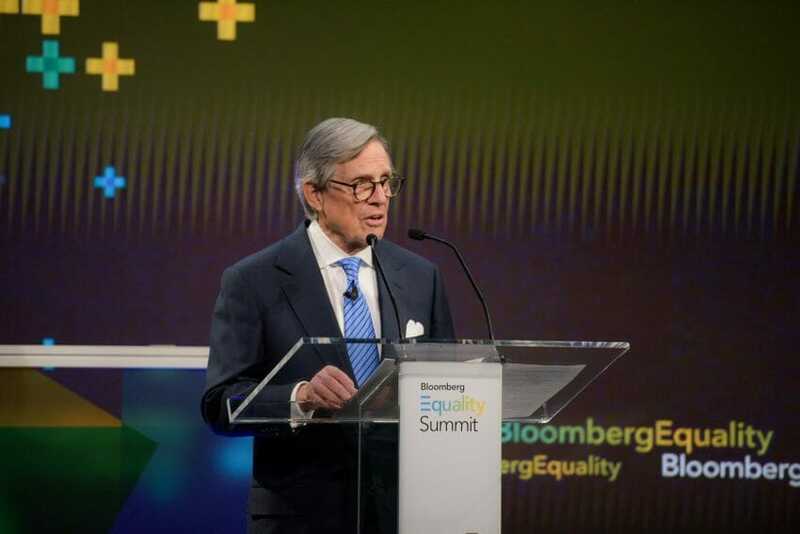 To further drive this issue on the global business leadership agenda, Peter T. Grauer, Bloomberg’s Chairman, has pledged his support for the campaign, joining other high-profile executives including Paul Polman, Sir Richard Branson, Janet Riccio, and Mark Weinberger. Bloomberg will also jointly develop content with #valuable later this year to highlight disability inclusion by companies that are part of The Valuable 500. The Valuable 500 was launched by Caroline Casey, award-winning activist, social entrepreneur and the founder of Binc who is registered blind, at the WEF press conference “The Case for Disability Inclusion,” following EY research which demonstrates that disability is only discussed by about 4% of global businesses. “It is fantastic to welcome Bloomberg on board as part of The Valuable 500. Bloomberg is a leading force in the news, finance and tech industry and will provide a voice that the one billion disabled people around the world so desperately need in order to end a la carte inclusion in the workplace. Casey will also lead a discussion about disability inclusion at Bloomberg’s Equality Summit in London on May 16, 2019. Mary Quinn, an HR Business Partner for Bloomberg’s Engineering department who is visually impaired and relies on assistive technology to do her job, will also serve as a Valuable 500 agent. Over the next few months, she will share her story on social media and showcase the tools she uses to demonstrate to others in the corporate world that a more inclusive society and workplace can enable anyone – with or without disabilities – to reach their full potential. #valuable is a catalyst for an inclusion revolution that exists to position disability equally on the global business leadership agenda. It highlights the importance to business of the 1 in 7 people who live with some form of disability across the globe. This group, which makes up 15% of the world’s population, is equal to the size of the U.S., Brazil, Indonesia and Pakistan combined – but is routinely ignored by business. Along with their friends, families and communities, those with disabilities worldwide hold a disposable annual income of $8 trillion a year – making it a market business cannot afford to ignore. Plus, 80% of disabilities are acquired later in life, and our aging global population means the prevalence of disability is on the rise. The Valuable 500’s mission is to unlock the value of people living with disabilities across the world. To apply to be a Valuable 500 business, please visit: thevaluable500.com.